Hi! 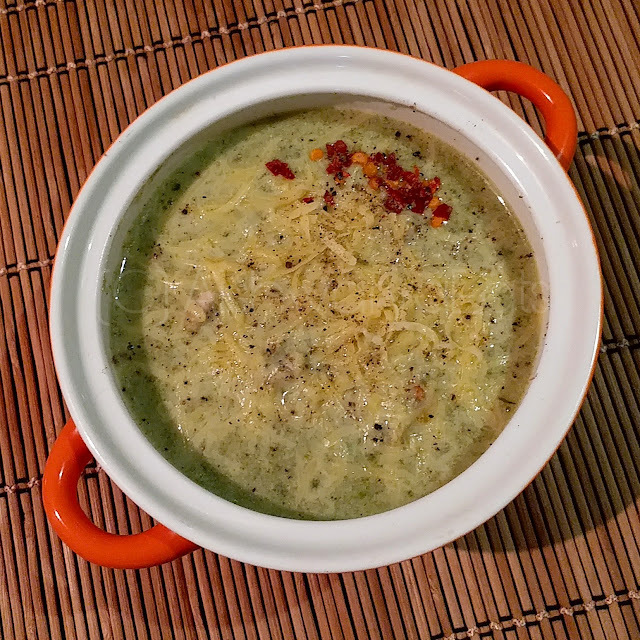 Here I am, again, to give ideas for quick, and non-labourious meals to chow down while watching Masterchef Australia after a hard day at work! One of the mains that really rescues me is paneer. It's tasty, so very versatile, healthy, filling, inexpensive and readily available, or very easily made at home. And you can make it with anything. Capsicum? Done. Nuts? Done. Tomatoes? Done. Mashed up with some mayo and stuffed into a sandwich? Done done done. My favourite is, however, the quintessential Indian paneer dish, Matar Paneer. The recipe that every non-Indian around the world replicates to mop up with naans and calls it Indian exotic food. The recipe that so many Indians, no matter where they are, replicate when they miss Ma ke haath ka khana. 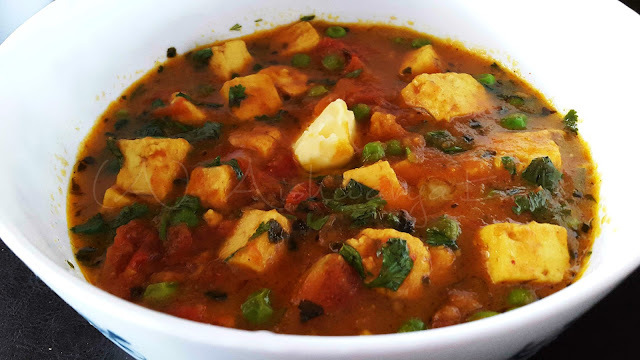 Soft cubes of paneer, fried crisp or not, in a surprisingly light tomato-and-onion based broth like gravy, studded with green peas. It takes not more than a half hour, and goes well with everything. 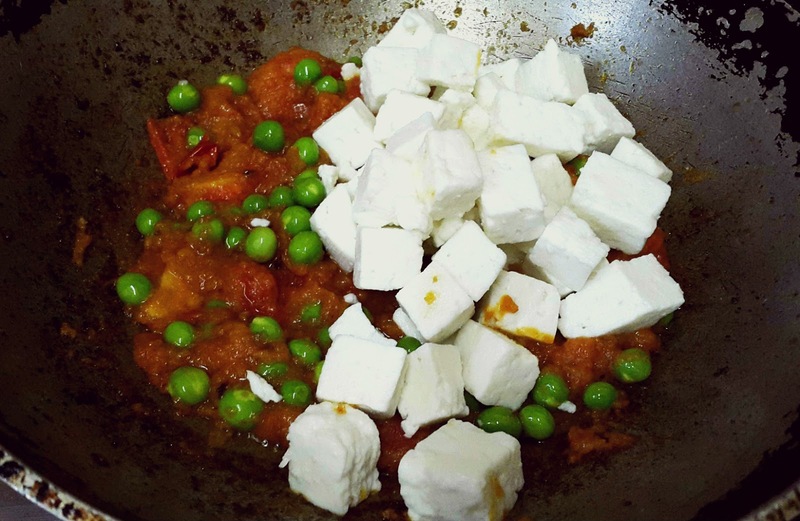 Cut the paneer into cubes, not too small but not too large either. If you want, fry these till golden around the edges. I prefer non fried. In a kadhai, heat oil. When hot, lower the flame to medium and add the onions. Fry till pinkish. Add the cubed tomatoes or an equivalent amount of ketchup. Stir and fry on medium-high heat. When the raw smell of the onion leaves and it smells sweet and fried, add turmeric and chilli powders. Mix well and add the peas. Toss to coat the peas in the masala. Season with salt and sugar. After about 1 minute, add the paneer cubes. Very gently mix so that the masala coats the cubes well. Continue gently mixing for about 3-4 minutes. Add the warm water, stir everything and let it come to a gentle boil. Let it boil for at least 2 minutes, then turn off the flame. Turn out into the serving bowl, and serve hot with a dollop of butter on top. 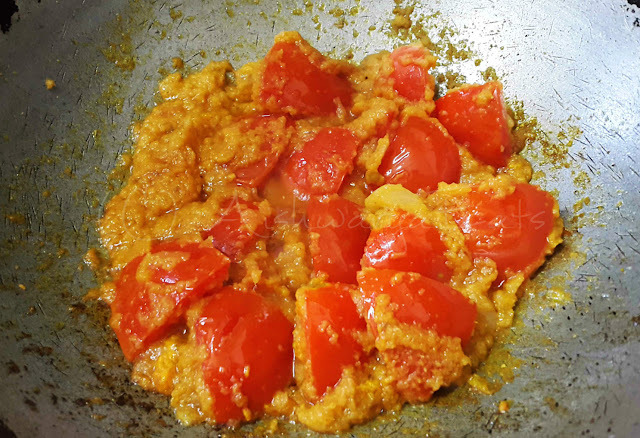 You can add ketchup in place of tomatoes in this and any other gravy, in case anyone in your family isn't allowed to have tomatoes for health reasons like uric acid, etc. That's it! 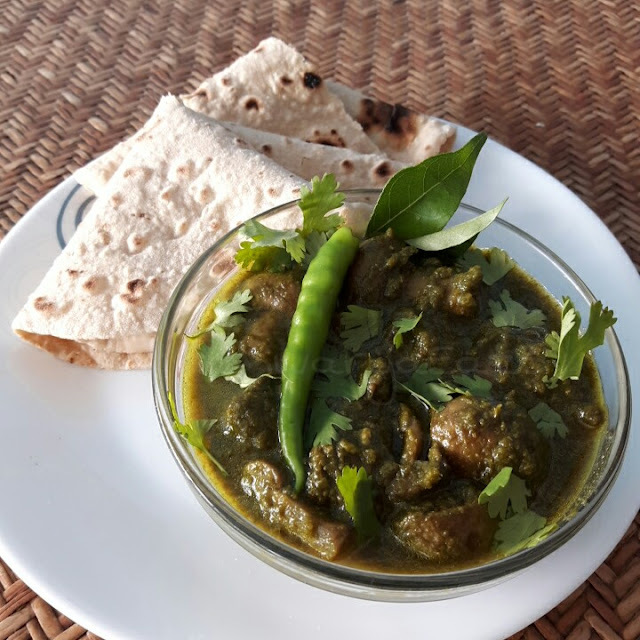 You can enjoy this with anything, rotis, parathas, rice, leftover pulao or even bread.